Our team of expert technicians work very hard to earn our great customer satisfaction. Below you can read some of our reviews from Yelp and the BBB. My mom referred me and every time I’ve dealt with them theyve been great. Today Kevin P. came out and helped save my family from the heat. He was on time, extremely polite and knowledgeable, and took the time to explain the problem to me and even offered some tips. Great guy and excellent service. I would recommend them to anyone. WONDERFUL company and people! HIGHLY recommend! This week, I called them at 6:30 p.m. after discovering my old A/C unit wasn’t working. Trey, the service technician, arrived shortly thereafter. Trey is absolutely the most helpful and knowledgeable tech you could ever meet. After what I’m sure was already an exceedingly long day for him, he still took the time to explain everything, including ALL of my options for a new unit vs. a fix of the old one. In addition, he provided a portable A/C unit to help keep a few rooms cool until the unit could be replaced!! That night, the owner, Scott, even stopped by to look over everything. 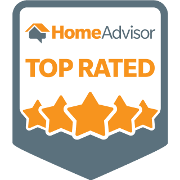 They replaced my unit, and the installers, Bryan and Alex, were GREAT – professional, timely, knowledgeable, and they did a fantastic job. Honestly, ALL of the people at SMW are the BEST!! I have used SMW for many years for routine maintenance on my a/c and heater. I knew the unit was old, but for years they have been repairing it as needed, until finally they gave me the opinion that it needed to be replaced. I had to wait a couple days for the scheduled replacement, and during that time the a/c died completely. Scott came out to my house in the evening, just to see if there was anything he could do to get an extra day or two, but no luck. They moved up my installation time, and there was no charge for the extra service visit. I love my new unit and would never consider using any other company for my a/c needs. I had a new A/C installed yesterday 6/19/14 and they did not leave until 10pm after starting at 8:30am. They are dedicated and honest! I give major props to the owner Scott who came by about 9pm to help his crew out. I would recommend this company 100 times over! I received air conditioner service today and was very favorably impressed. Service tech Kevin was a very helpful and polite young man. We will Definitely recommend their service to our friends. I would strongly recommend SMW for all your a/c needs. No pressure sales, great engineering support and knowledgeable tech’s. Very professional installation and competitive pricing. The team from SMW did an unbelievably great job! My family had two ACs (******) replaced this month. SMW offered a competitive estimate, but more importantly the work was completed impeccably. The staff was professional, the products are high tech, and the system is working better than I have ever seen it. All of the features of the system were explained; which is great because I do not speak HVAC. By far my best investment of 2015. I wish I would have done it earlier. ***** and **** did a great job. These folks are simply awesome! A/C went out at 5p.m., and by 6:00 p.m. they had one of their techs (********) out and diagnosing the problem. No fancy, slick talking, no pressure sales, no emergency charges or fees, just down to earth simple facts and options for us to consider. Very pleasant and respectful gentleman. Will not hesitate to call these folks again if we ever have a problem with A/C or furnace. These are people that really seem to want to help you. SMW Refrigeration and their team are true professionals and we’re very happy with their service. Both AC units were inspected and problems were noted and repaired immediately. We purchased the preventative maintenance package and glad we did, as these units were both in need of a good cleaning. Everything was explained in great detail, and the technicians took their time ensuring the job was done right the first time. I’ve seen several technicians here that are in a hurry to move on to the next call and have failed to properly complete the repair. I highly recommend this company and service they provide to anyone, believe me you wont go wrong, and it’s money well spent. Very reliable company. Arrived at my home within 30 minutes of call. Honest and reasonable. Feeling much cooler in minutes of arrival. I would definitely recommend SMW refrigeration & Heating for those in need of good, reliable, and honest repair of you A/C! Thank you so much SMW!